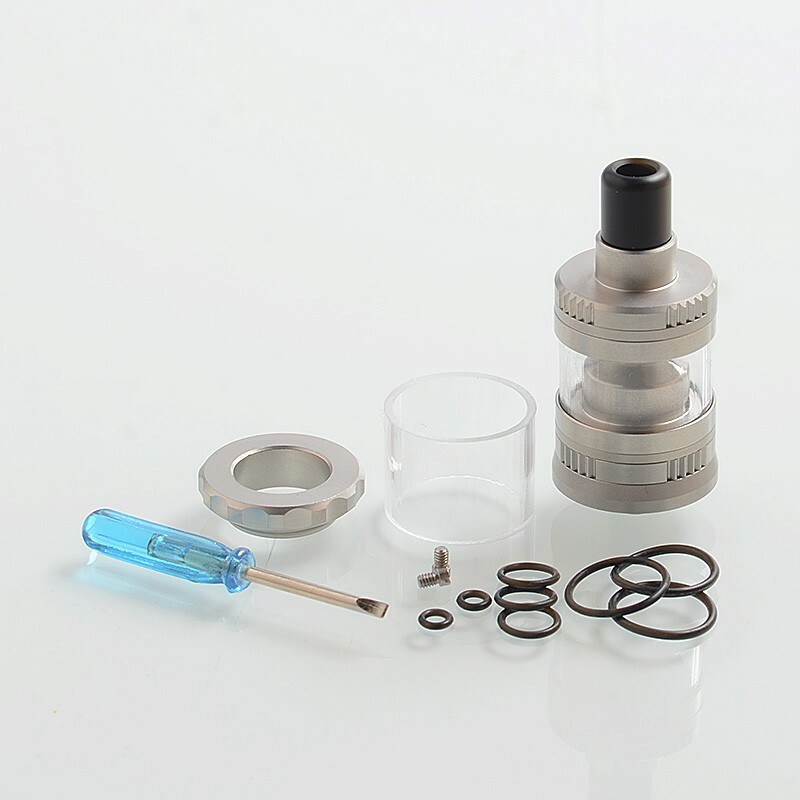 The Vapeasy Gem Light Mini Style RTA is made from 316 stainless steel and glass. 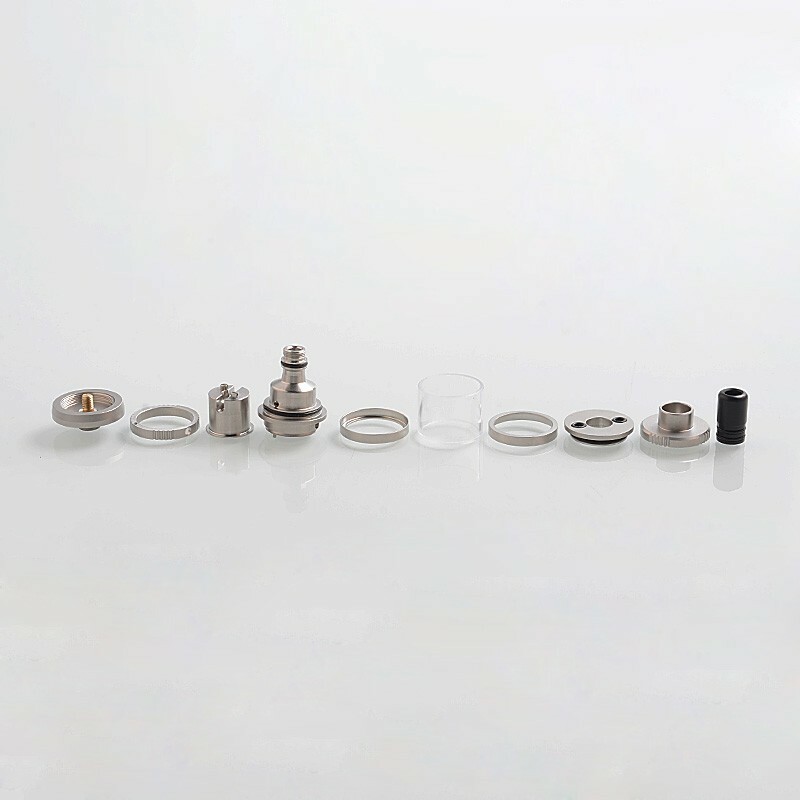 It features 2ml capacity, dual post build deck for single coil build and bottom airflow for great flavor. 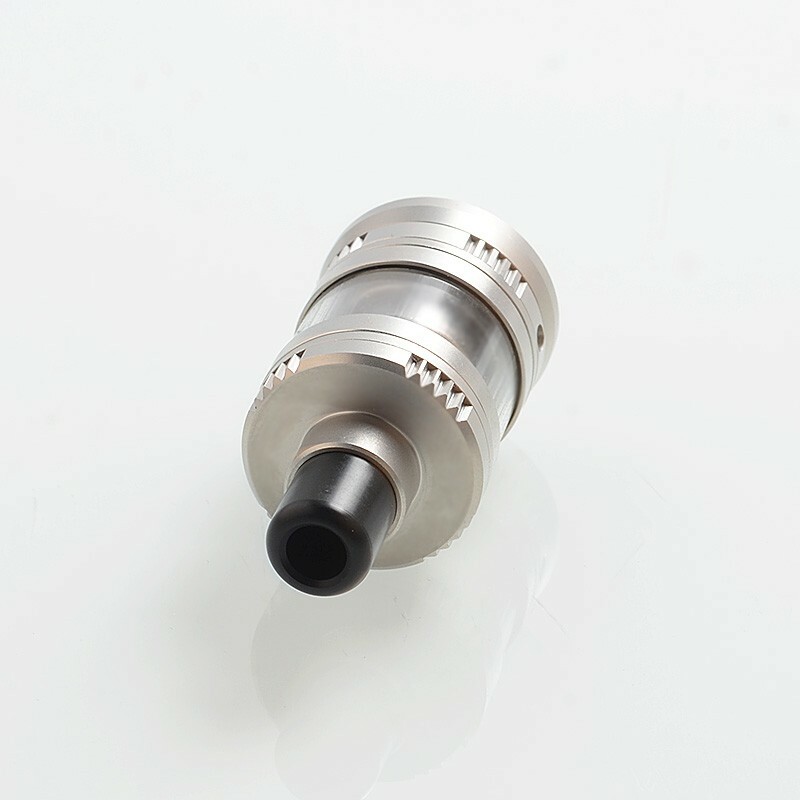 It has the possibility to adjust the air flow between 0mm and 2.5mm, the AFC system is unique and has a very reduced vapor chamber. 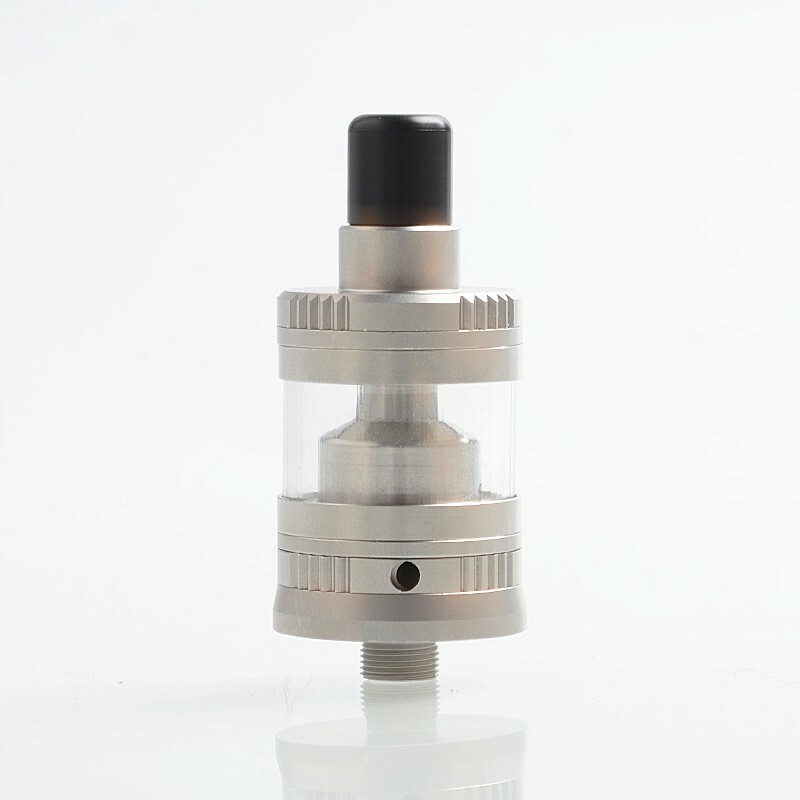 The tank has two top fill holes, in order to make it easier for the user to fill it. 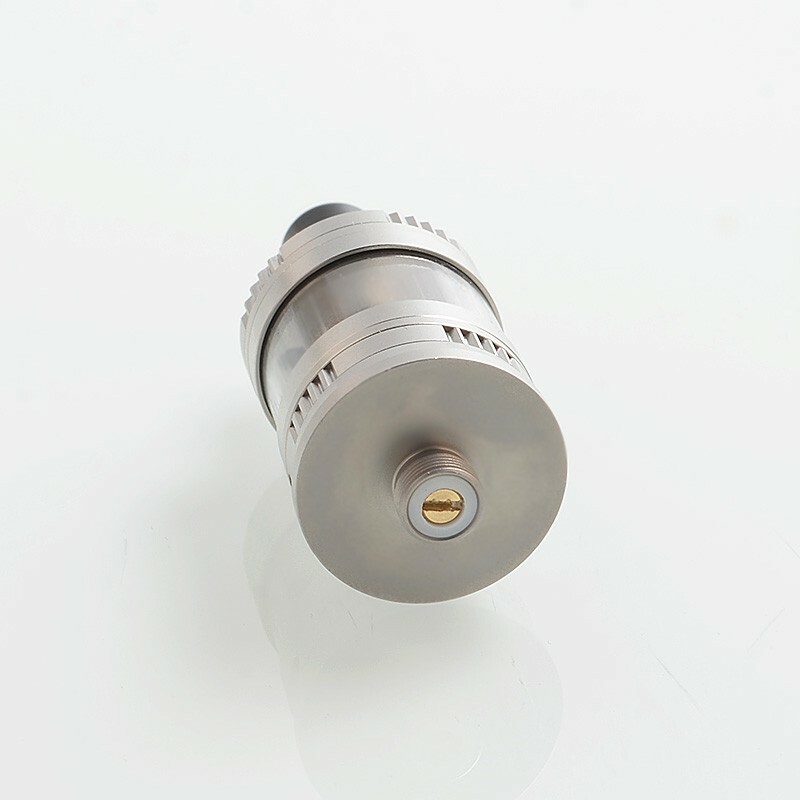 This RTA was made at 1:1 scale.